It’s a ‘perfect storm’ – our PA ranks are growing as the need for team based care grows. 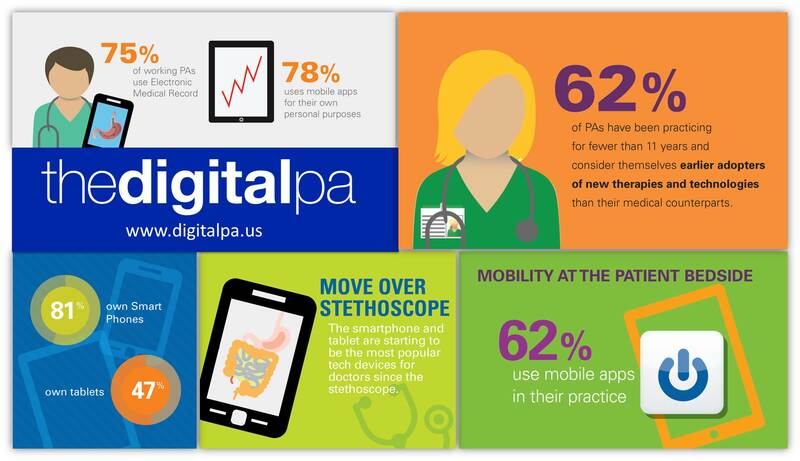 Couple this with the adoption of technology by both patients and providers, and the stage is being set for PAs, armed with the right technology, to drive better patient understanding and health outcomes. Are you a Digital PA? The numbers prove that many of us are – check out this infographic.